As the 2013 Edition of the Delhi Photo Festival preps for its grand opening later this month, I catch up with festival founder Dinesh Khanna to find out more about his own personal work and the festival’s inspirations and ‘grace’ this year. 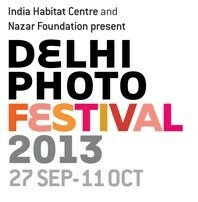 2013 is only the 2nd Edition of Delhi Photo Festival. I guess, the first appropriate question would be, why has it taken so long for Delhi to have a festival, given India’s rich, long photographic history? There are a couple of reasons. The principal one is that before us nobody even tried! The second one was that in an earlier time photographers were caught up in their own worlds and genres with many securely employed in the media and established in the world of commercial photography. Photographers did not really feel the need of an artistic community or a festival. With the advent of the digital age and the democratization of photography the traditional centres of photography were no longer so important. Today there are many more photographers working independently, straddling many genres who feel that they need to exchange ideas. Therefore the time became ripe to do a festival. Some of my friends in India said that pulling Delhi Photo Festival off, getting everyone on board is no easy task, giving credit to both you and Prashant. I see their point – India is a complex country and has some of the biggest names in Asian Photography. Your thoughts and experience getting the festival off the ground? Following from the last question………given that photographers were already looking for a community and festival all that was required was for a leadership to take the onus, to take the lead. Prashant and my motivations for starting Nazar Foundation and taking the lead was also born out of a desire to belong to this community as well as the felt need to give back to an art form that we had gained so much from. And given that both Prashant and I have a lot of goodwill in the community, with us being very accessible and having mentored so many photographers, the response we got to our efforts was amazingly positive. By and large all the important members of our fraternity were, and are, very supportive. Like I mentioned in the earlier answer, the time was ripe. Is Delhi Photo Festival India or South Asia centric in its content and programming? No, the Delhi Photo Festival is an international festival that features works of photographers from around the world. However, we do hope that the work shown will inspire more and more Indian Photographers to do personal projects and increase their participation in this Festival and others all over the world. For instance, its interesting to note that we received more than 2400 submissions from 90 countries for the Festival this time. Where do you see Delhi Photo Festival positioning itself within the Asian Photo Festival Circuit? We would like to see ourselves as part of a fraternity of Festivals in the region that opens doors for individual photographers and communities of photographers to meet, exchange ideas, learn from each other and celebrate each other’s successes. We do not wish to compete with others, be bigger or better than others, but we do want to establish our own identity. We believe that if there is a network of festivals, communities and collectives across Asia, each with their own unique identity, would enrich our collective experience. 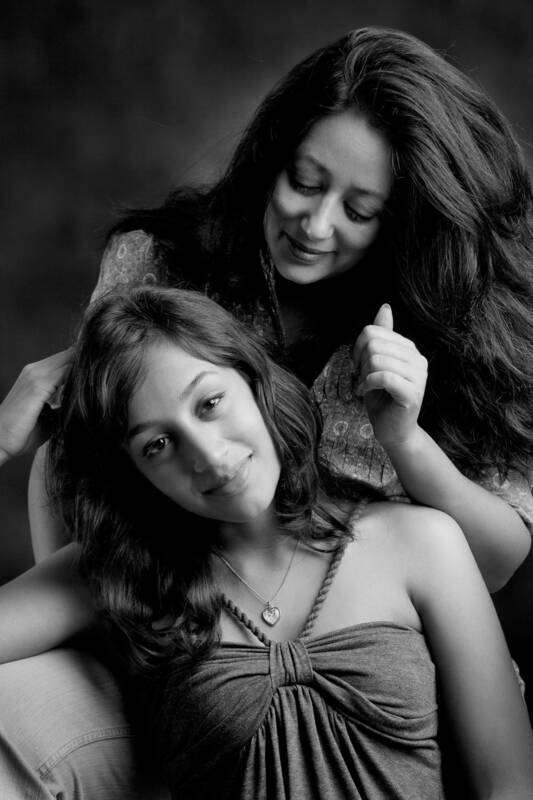 Delhi Photo Festival’s theme this year is ‘Grace’ dedicated to late Prabuddha Dasgupta. I had the privilege of corresponding briefly with Prabuddha Dasgupta a while back. Can you share some thought on his work and place within the context of photography in India? The single most important thing about Prabuddha was his unique photographic style and the ease with which he was able to work across diverse genres like fashion, advertising, documentary, travel even still-life. His photographs were simple in technique, yet distinctive in content and composition. He was a master of B&W photography yet mastered colour too, which is rare in most Photographers. As a human being he was generous with his time and shared his knowledge and experience of Photography with others without holding back. I had a personal experience of this generosity as he didn’t just curate my first solo exhibition but was the one who made sure it was shown at a prestigious gallery in Mumbai. Prabuddha’s generosity extended to having mentored some of India’s finest Photographers like Bharat Sikka and Tarun Khiwal who worked with him as apprentices and his work influenced, and continues to influence, many young Photographers. Tell us more about the theme ‘Grace’, in relation to photography? GRACE has been chosen as the theme for the Delhi Photo Festival 2013 as a tribute to the late Prabuddha Dasgupta, an inspiration to a whole generation of photographers. “I want to have a long string of images, held together by grace, because grace is that undefineable, non rational, non linear word that I am looking for…” Prabuddha Dasgupta speaking at the Delhi Photo Festival 2011. Can you tell us about the work you and Prashant Panjiar do at Nazar Foundation? We set up Nazar Foundation a few years ago with the desire to give back to a medium which has given us so much in life by helping create a community of Photographers and to promote Photography as an art-form. One of the most important and popular events, besides DPF, which the Foundation does is the “Nazar ka Adda.” This is a monthly event wherein we invite 4-5 Photographers, and they can be professionals or amateurs, to present their ongoing projects or photo-essays to an invited audience so that the work can be discussed, commented upon, criticized or complimented, essentially with the idea of generating healthy and productive interaction and positive feedback for the Photographer and learning for all those present. We also curate and organize Exhibitions and events for like-minded organizations that want to use the power of Photography as a means of communicating their message or objectives. A number of other initiatives are being planned and we shall be announcing them over the next couple of months. If I remember correctly, Prashant Panjiar said to a friend of mine who attended his workshop that becoming a photo editor muddles your eye and instincts as a photographer. Would you agree? Can a good photographer be a good editor or vice versa? No, that is not exactly what Prashant said. His comment was in the context of his conducting a workshop at the Kumbh Mela where he was hoping to make some images for himself too. What he said was that as a tutor, after looking at so many images made by the participants and critiquing them everyday, he was finding that making his own images was becoming difficult because of a visual overload. A good photographer can be a good editor and vice versa but this is not a rule, often it is the exception. Having said that, it is very important that photographers at least learn how to edit their own images. Let’s talk about your photography. Your bio says your father was a photographer and that you rejected following his career path due to the Indian caste system. Can you elaborate on that? And on how a calculator salesman became the photographer you are today? I learnt the basics of Photography from my father even while I was in school. He was a Professional Photographer so there was always a camera available for me to use and we even had a darkroom at home where I could develop and print myself. However, I had this bug in my head then that I will not follow in my father’s footsteps, as that would be like being a victim of the caste system. The caste system, for those who are not familiar with it, means that a person’s position in society and his profession is ordained by birth. I found this thought extremely restrictive and rebelled against it totally. However, I wasn’t a terribly good student so started doing odd jobs once I graduated from college and that included things like selling calculators, doing quality checks in a garment factory, etc. I drifted into Advertising after a couple of years of these jobs and found my groove and was in Client Servicing for a dozen years. Fortunately for me I got a chance to work with agencies like Clarion, Lintas and Enterprise over the years. My last 5 years in advertising were as the Branch Director of a very famous Creative agency in Delhi. Though I enjoyed my time in the profession by the end of it I started feeling the urge to pick up the camera again and try and do Photography full time. Many felt that it was a crazy risk to take as I was in a senior position in Advertising by then but fortunately I found the determination to try it out. Let’s spotlight one body of your work. Which one will you pick and why? Instead of one may I talk about 2 bodies of work, please? And there is a reason for that. At least in my head. Besides my commercial work the 2 projects I am involved with presently are “Mothers & Daughters” and “Kissa Kursi Ka.’ Interestingly neither of these were planned when I started with them and nor do I have an end date in mind. “Mothers & Daughters” started as a favour for a cousin who wanted me to photograph a portrait of her with her daughter and Mom. When they showed the images to others, people loved them and a few them asked me to shoot such images for them too. And I did so quite happily. After photographing 3 or 4 such sets it dawned on me that this was an interesting way of creating an ‘ode’ to the ordinary, urban Indian Woman, the kind who inhabit my life, and who are so different from the ones that are depicted in Indian media and are either shown as wealthy film stars or depressingly poor and downtrodden. Also I made it a condition that I would shoot the portraits against a painted background in my studio using artificial lights. This created a sense of ceremony for the Portrait session, which was so different from the casual way in which people shoot each other’s photos with their mobile cameras all the time. All the women I have shot for this project really appreciate that and treasure the images for the formality and, therefore, significance of the moments they were involved in creating these images. On the other hand, ‘Kissa Kursi ka’, which translated from Hindi, loosely means “An Ode to the Chair” is shot on the streets, candid and only with my mobile phone camera. Interestingly, though this project is shot without making a fuss about equipment, technique or ceremony, it makes a powerful political statement. India’s democracy has become a dynastic and exploitative system, I feel, and the common citizen is increasingly being squeezed out. The leaders, or should I say the rulers, are only interested in their chair, which signifies the seat of political power, and the ordinary person’s status is depicted by the ramshackle, neglected ‘kursis’ (chairs) I find strewn around the urban landscape. . forlorn and forsaken. This project is my tribute to the common man in India who soldiers on against all odds seeking just that little bit of dignity and self-respect, which too the system grudges him. Its probably clear now why I wanted to share my thoughts about these 2 projects, which are so apart in technique, approach and output. But that’s what I love about Photography. The medium’s intrinsic ability to allow such varied and diverse usage depending on the Photographer’s vision and talent is what I love about Photography. You told me you’re a huge fan of Street Photography. That’s great to hear. People often ask me what are the differences in street photography practiced in the West and in Asia. Do you have any thoughts or views? On the practice and trends in India too, perhaps? I am not just a fan of Street Photography but most of my personal work over the last 3-4 decades has been of this genre. Both my Pictorial books, ‘Bazaar’ and ‘Living Faith’ and even the one I am working on presently, “Benaras. Every day in Eternity” are examples of this. There are 2 very apparent differences between the West and India (and I am deliberately not saying Asia as that is too large and diverse an area). First is that people are mostly Photography friendly in India whereas the people on the street in the West are extremely camera-shy as they are very privacy conscious. Secondly, in most parts of India the street is like a ‘Theatre of Life’ and an amazing amount of activity takes place right there out in the open. Compared to this, most places in the West are quiet, isolated and without much activity. Both situations, however, create different opportunities and challenges and as an ardent Street Photographer I have enjoyed shooting in both situations. Street Photography has always been really popular in India since the country is a ‘Theatre of Life’ and it’s easy to shoot in the streets. India has had many excellent Street Photographers over the years doing really fantastic work and names like Raghubir Singh and Raghu Rai are right up there. But in the recent past this genre has become even more popular as many more people are buying cameras and shooting ever since digital came along. However, this also means that a torrent of mediocre and ordinary street photography gets done and shared through various social media channels. Fortunately there are quite a few good Street Photographers emerging who are taking this genre seriously and producing fantastic work. I recently had a nice long chat with Raghu Rai. He has a very philosophical approach to mentoring and tutoring. You do workshops as well, what is your approach with young photographers and students? I would say my approach is more experiential and practical. I believe it’s my task as a Mentor to share my experience and knowledge openly and freely and to encourage the student to shoot extensively and explore their own feelings and vision in different situations. I prefer to nudge and guide rather than teach and perform. Raghubir Singh : Master of Colour and layered images. Major source of inspiration for me, personally. Raghu Rai : Master of B&W and complex images. Passionate and deeply engaged with India and all things Indian. Prabuddha Dasgupta : Stylish, aesthetic driven and extremely sensitive photographer. Prashant Panjiar : Compassionate and humanistic Photographer with a sensitive understanding of social and cultural issues. Dayanita Singh : Engages completely and comprehensively with any project she takes up and in recent years has been experimenting with content and form without worrying about stepping out of her own comfort zone. Pablo Bartholomew : His work from the 70s and 80s goes a long way in visually defining interesting cultural, social and political events of the time. Lastly, I am hoping to visit this year’s Delhi Photo Festival. I heard you guys have some exciting things planned. Can you give us some highlights? Up to 16 Satellite exhibitions by participating galleries in the city at the same time as the primary exhibitions and events at the India Habitat Centre. Some collaborative performances – photography with music, poetry, literature, theatre, etc. Do check out our website: www.delhiphotofestival.com which now has loads of information about the Exhibitions, Seminars, Artists’ Talks and all the other things which are happening during the Festival. The biennial Delhi Photo Festival is an initiative of the INDIA HABITAT CENTRE & NAZAR FOUNDATION to bring photography, the real democratic art form, into the public space, thereby creating awareness of photographic arts and initiating dialogue amongst its many practitioners and lovers. VENUES: Though the primary exhibitions and events of the Festival will remain at the India Habitat Centre, leading galleries of the city will participate, mounting independent exhibitions and events in their own spaces, thus making the Festival a city-wide one. Lovely work. Looks like a great festival. After a series of great powerful frames, the last few photos by Dinesh khanna are disappointingly ordinary.